I just wanted to remind everyone of the extension of the 2WDW Holiday Sale! I can promise the sale extension for just about another week. And when purchasing products at 2wheeldynoworks.com/ you can enter "Cats away" as a coupon code in your shopping cart. This will take an additional $10.00 dollars off your already discounted purchase! Please feel free to email me at 2wheeldynoworks@gmail.com or call me at 425-269-5332 with any questions. Congratulations on the new gig/promotion. It’s a good deal, and I will definitely send you my ECU. So, from the time that I put my ECU in the mailbox, how long 'til it’s back in my mailbox again with the reflash? I’m in Phoenix AZ (the valley of the sun). I’m guessing this timeframe will be about 10 days (with most of the time spent in transit back and forth). 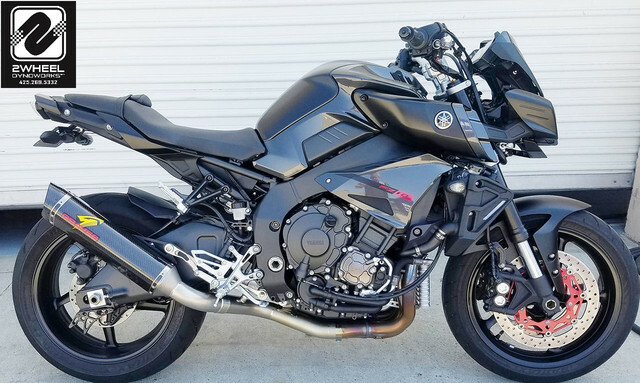 FZ-10 is my daily rider, so just have to plan accordingly. I might have to wait for riding season to end (May/June), if nothing else. Thank you, and Hapoy New Year. Well crap! I missed that opportunity. I just placed my order on 1/1/18, my ECU is inbound to you guys right now. It went out 1/2/18. I shot an email to that address, but haven't gotten a reply yet. Looking forward to getting it back and installed. Hear really good things about you guys. We will have your ECU flashed and packaged for return shipment the same day it arrives with us. The mail in ECU flash service includes complimentary USPS priority return shipping within the US. This usually takes 2-3 business days to get from Washington to Arizona. Depending on the shipment service type you send your ECU with, it is safe to say 10 days total turn around would do the trick. What email address did you send us a message from? (feel free to send this again if you do not want your email address on a public forum) I will be sure to get a reply to you asap. My email is super_mac_69@hotmail.com. I was waiting patiently haha. I sent it to the address off your site, I hope. If you didn't receive it, I'll resend.